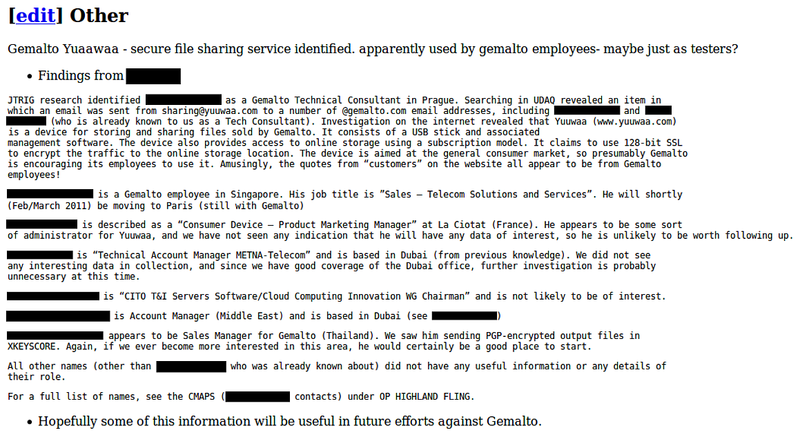 I don't see any reason why Gemalto should have all the keying material. This is the same thing RSA Security ran into with their keyfobs. For some reason they shipped them keyed instead of blank. Not only that, the private key was pushed to the fob instead of being generated by it—it's not like RSA haven't heard of public key crypto—and thus the keys were all compromised.